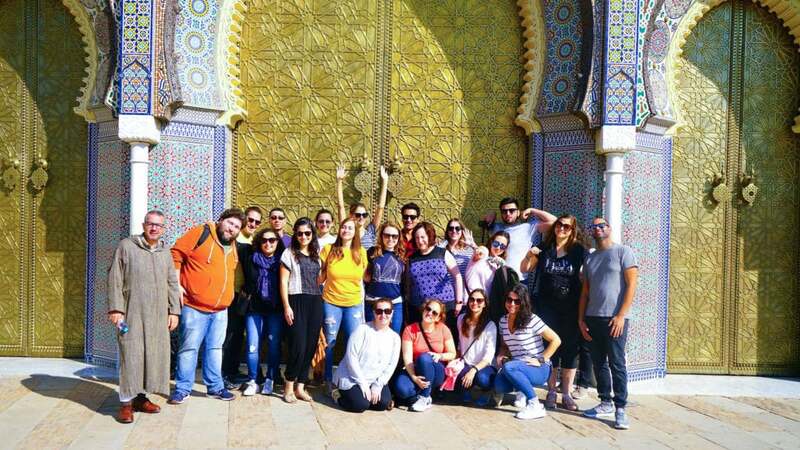 Cherie Renee recently traveled to Morocco with The Jewish Federation of Greater Los Angeles and JDC Entwine on the JDC Entwine Inside Jewish Morocco Trip. Read about her experiences below! I initially heard about JDC from one of my Birthright leaders a little over a year ago. When JDC came up again during the Kahn Fellowship I’m part of through the Federation, I decided to do some research on the organization since I had no idea what it was all about. When I learned about the organization’s history and all of the work JDC does for Jews around the world, I knew I wanted to get involved. I chose the Morocco trip because I’ve always been captivated by the culture and wanted to experience a trip that would be completely different from my every day and my recent trip to Israel. Also, my boyfriend Moses is of Moroccan heritage, and I thought this would be a perfect opportunity to visit his home country together. He and I thought it would be meaningful to take an educational trip together — especially one that was close to both of our hearts. I try not to have any expectations on trips like these. 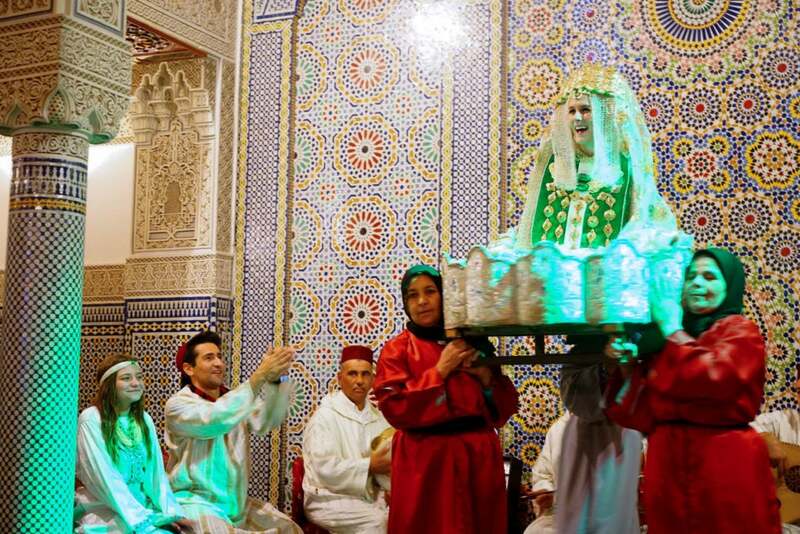 I knew I needed to experience Morocco with an open mind and welcoming heart. I wanted to come home with a wealth of knowledge and new friends, which, happily, I can say happened. Two moments were very inspiring for us, at least for me — one being personal for me, and even more so for Moses. The first was seeing such a small yet thriving Jewish community within a Muslim country. 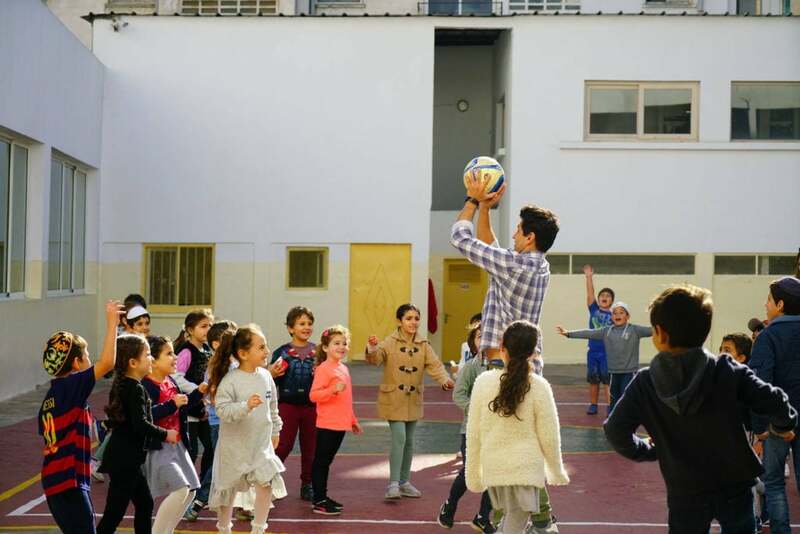 Because of JDC, the Jews in Morocco are given the resources and help needed to make life a little easier on them, and that doesn’t go unnoticed. We visited a school filled with Jews and Muslims alike, and they coexisted beautifully. Before that, we visited a religious Jewish school where every child is accepted, regardless of the parents’ financial situation. We also visited an elderly facility filled with people who had no one to take care of them — and our visit brought them a little joy for the day. Second, on our trip we happened to meet a blood relative of Moses’ who worked alongside JDC and is retiring this year! I knew in my heart of hearts something like this would happen, but not to that extent. I came home from this trip with a thirst to learn more and find or create a Jewish community. As a Jew by choice, there is a lot you miss out on that most Jews from birth learn from family and everyday life and their community. I met incredible people on this trip who shared resources about how to further my Jewish studies. A lovely reminder of one of the reasons I converted — there is always more to learn, and Judaism gives you that freedom. Another trip participant pointed out how lucky we are to live in places where being Jewish is quite easy. Living in L.A., I need to take advantage of that freedom and really find my Jewish community. Go on a JDC trip! They offer several trips throughout the year to all kinds of locations: Morocco, India, Philippines, Rwanda, Israel, etc. I found this trip to be intimate, even with 19 participants of various ages, backgrounds, and occupations. I’m grateful for the experience and that I got to enjoy it with Moses. For more information on short- and long-term immersive opportunities and scholarships, please e-mail YALA@JewishLA.org.